In my 25 years of existence in this world, I already faced different tough problems concerning relationships, money, myself, everything. 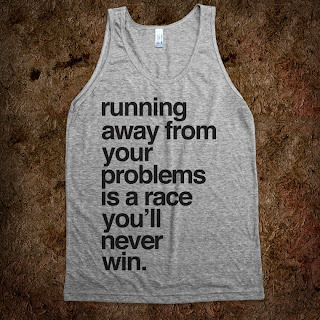 I always run away from problems, I hate problems! It's difficult enough for me to face my own problems, but I just cannot stand it when someone else has created a problem for themselves, and then tries to pass the buck on to me! 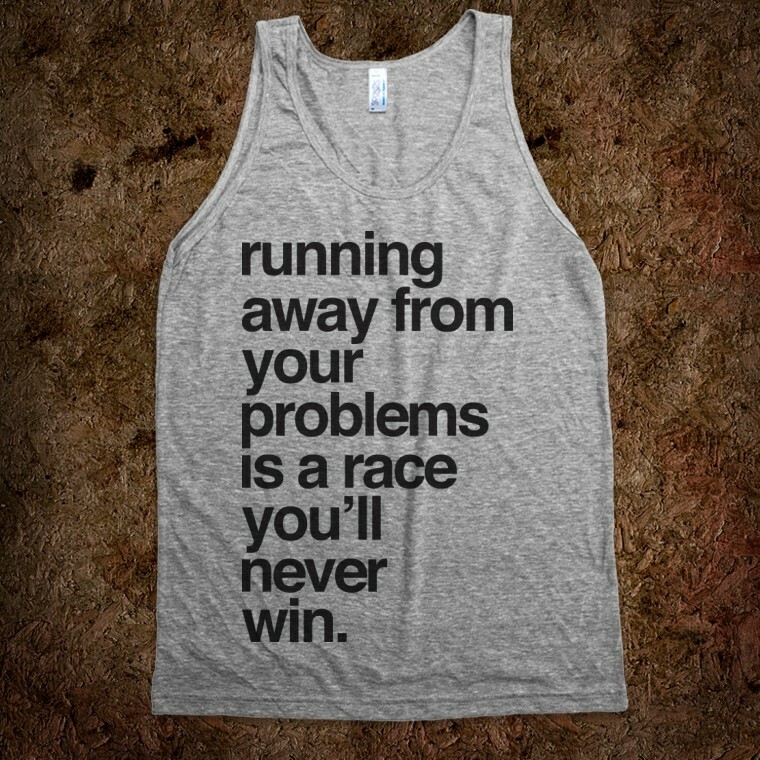 Before, when I get into a confrontation I generally shut down, run, and hide. As I get older, the distance I run gets farther. I am now thousands of miles away from my problems, but then again here they are and I still have to face myself as an adult. As a more mature man... Now I am a misfit in the mountains, with nothing around me to face but my own and it stinks. I cant seem to get on my feet after a good time on the road, all I want to do is resume the run even though now I know I can never escape me. There are some problems where it's just easier to run away from them.... but it always seems that they are the ones which haunt you, and never leave you alone...yet it feels right to just keep on running..... Why face something that you don't want to? Face them head on. No, it won’t be easy. There is no person in the world capable of flawlessly handling every punch thrown at them. We aren’t supposed to be able to instantly solve problems. That’s not how we’re made. In fact, we’re made to get upset, sad, hurt, stumble and fall. Because that’s the whole purpose of living – to face problems, learn, adapt, and solve them over the course of time. This is what ultimately molds us into the person we become.